On Saturday, September 15, I did a special Fielder Report event. 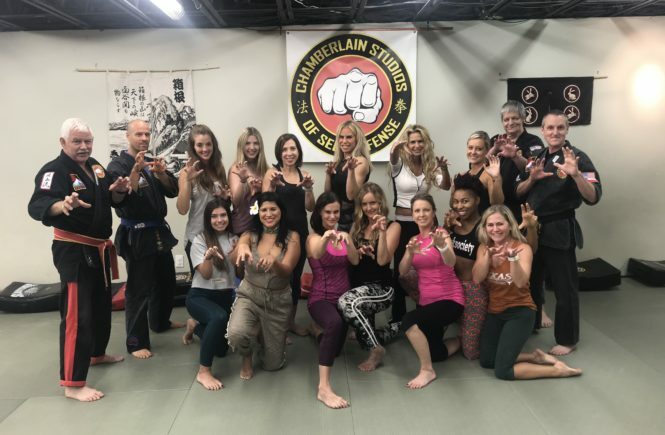 I hosted Sushi, Sake + Self Defense at Chamberlain’s Studio of Self Defense in Dallas. 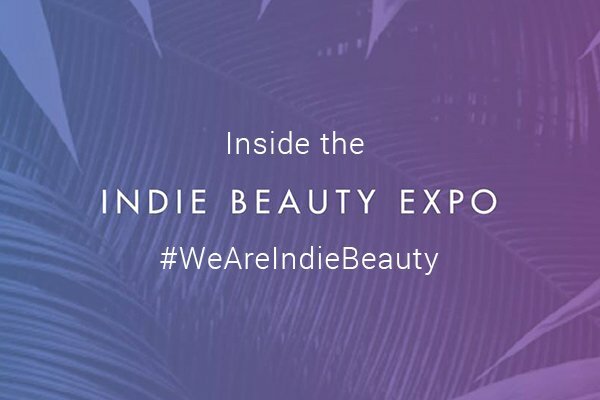 This event was all about educating and empowering women and girls on how to take care of themselves in a crisis situation. 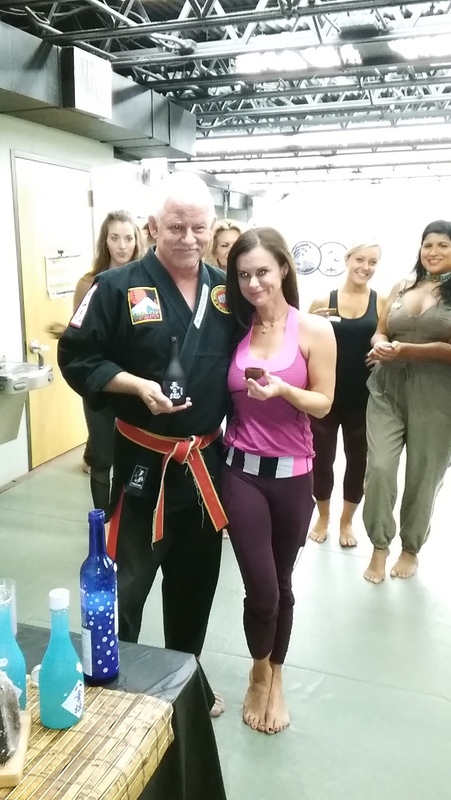 My guests joined the class to learn valuable self defense techniques, and enjoy a little sushi and sake education while they were at it. 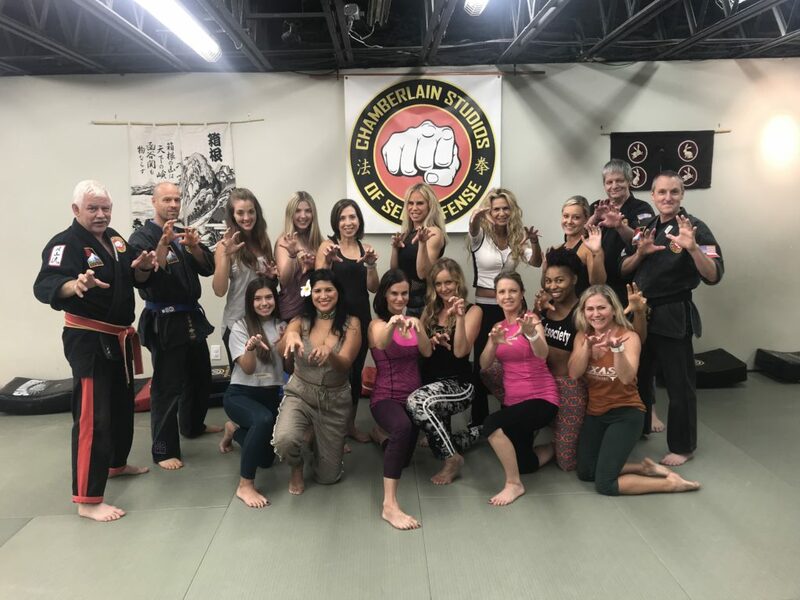 Ladies learned the importance of self defense, in order to protect themselves and their loved ones. 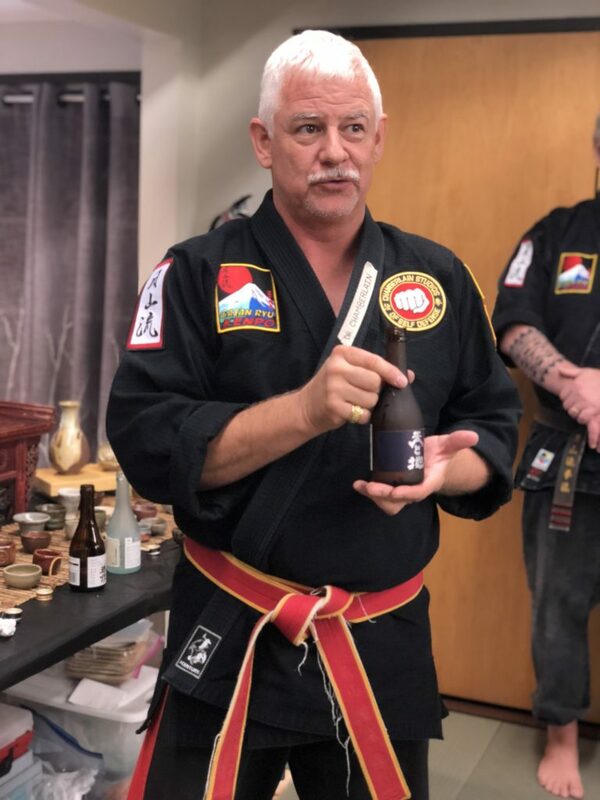 We also learned about sake from expert sake brewer and 10th degree black belt, Professor Nick Chamberlain and nibbled on amazing sushi by Sushiboi from Royal Blue Grocer as well. A special thanks to SushiBoi from Royal Blue Grocer for the fabulous sushi. 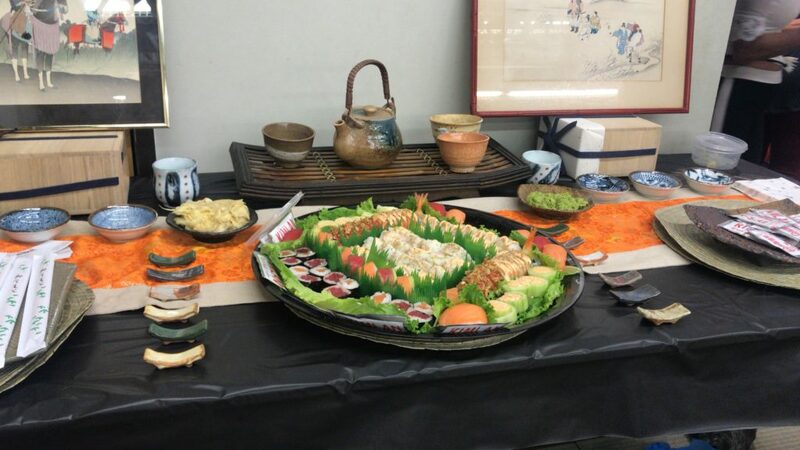 The event began with everyone enjoying sushi provided by SushiBoi by Royal Blue Grocer. 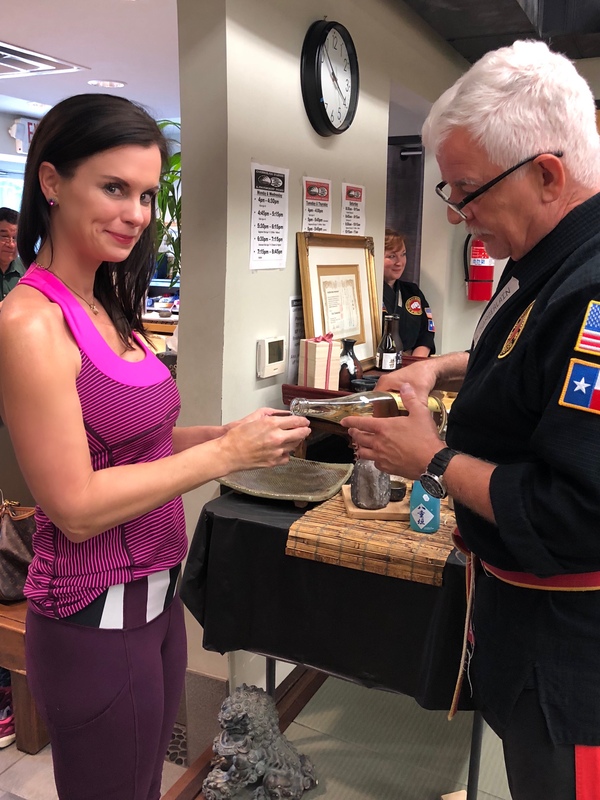 Next, Professor Chamberlain gave an informative walk through all things sake. 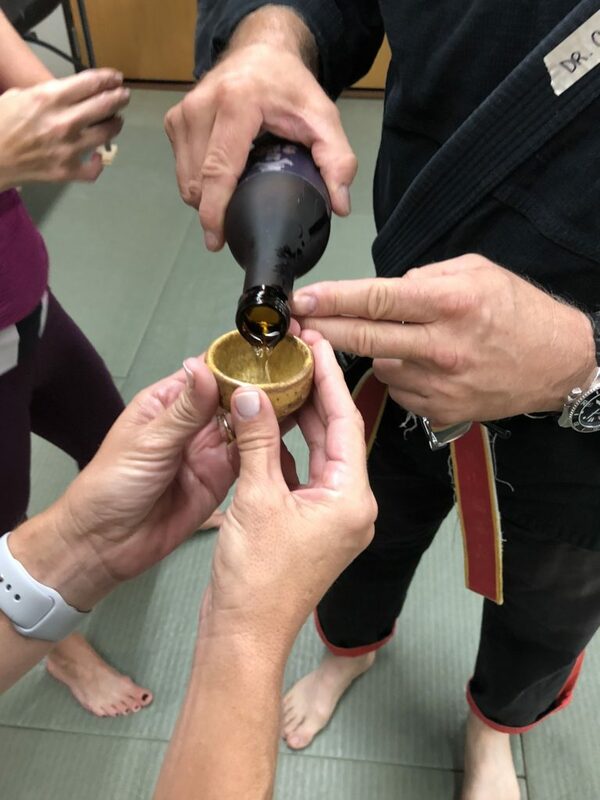 Guests learned about sake on all spectrums from how to serve it, how to receive it, why it is served in small cups, to the price point and taste. We found out that sake cups are unique and small so that the host must return to guests frequently and refill their cups. It’s important to make sure their guests are comfortable and enjoying themselves, making hospitality a key element in the culture. Dr. Chamberlain shares the different flavors associated with different sakes. 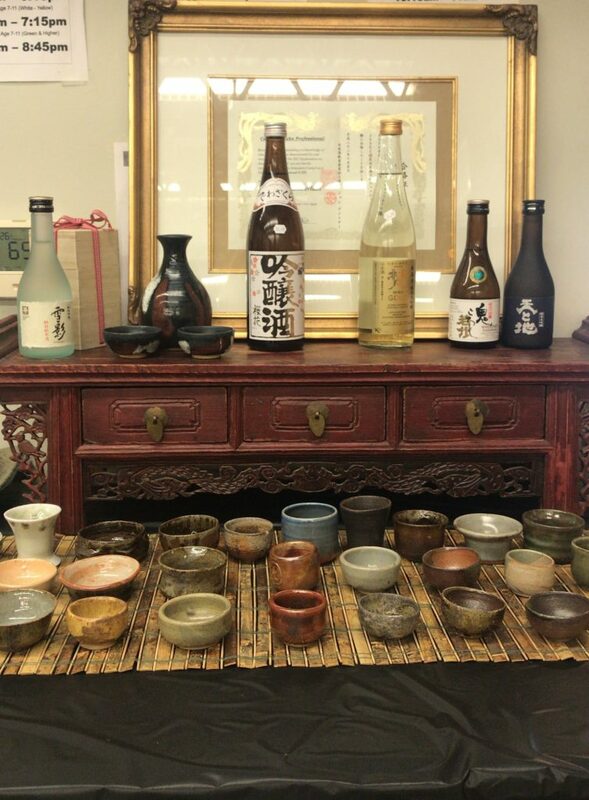 Professor Chamberlain is highly educated on sake, and makes his own sake and pottery to serve it in. Guests learned that there are many different aromas, flavors and levels of sweetness or bitterness. 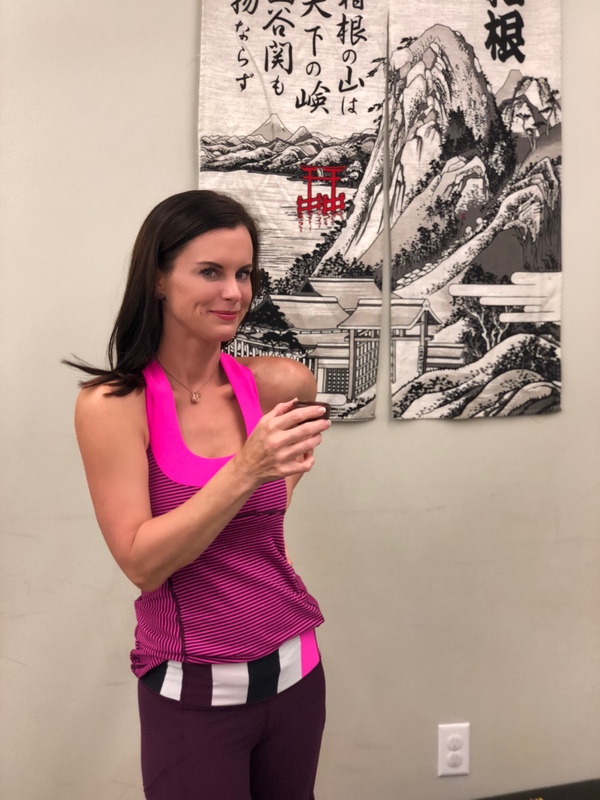 The ladies also learned that everything has meaning in the world of sake. 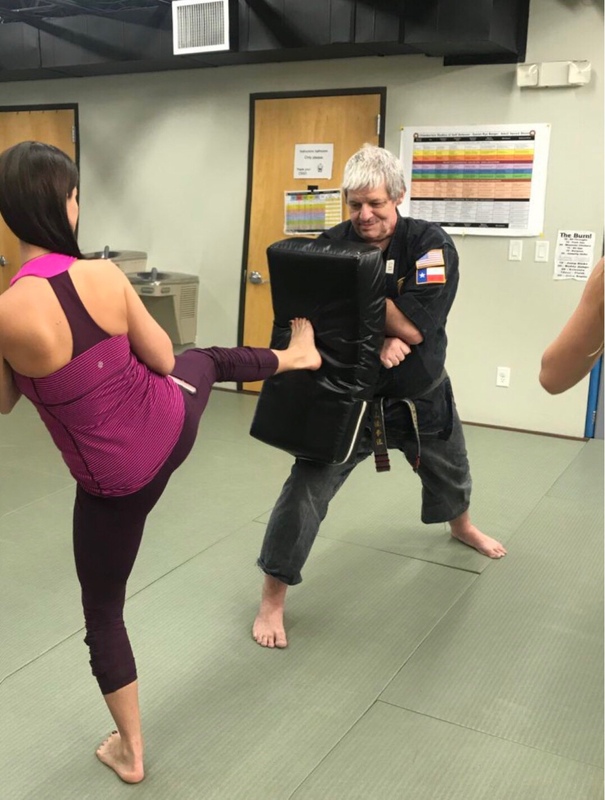 Dr. Chamberlain shared with us that you are trying to cause damage to the person attacking you and get away as quickly as you can. When you are in a high pressure situation you are trying to do whatever you can to stay safe. 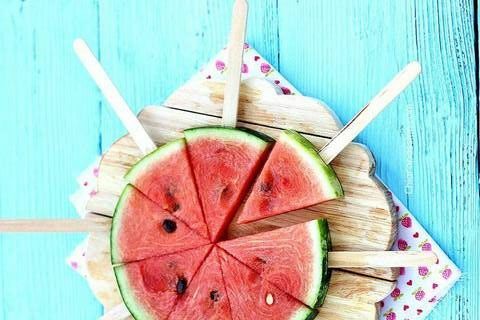 Use whatever you have at your disposal to cause damage wherever you can. I have to say that for me, I found my reaction to be one of surprise. I live in a world that I try to keep as safe as possible. For my family, my friends, my staff. 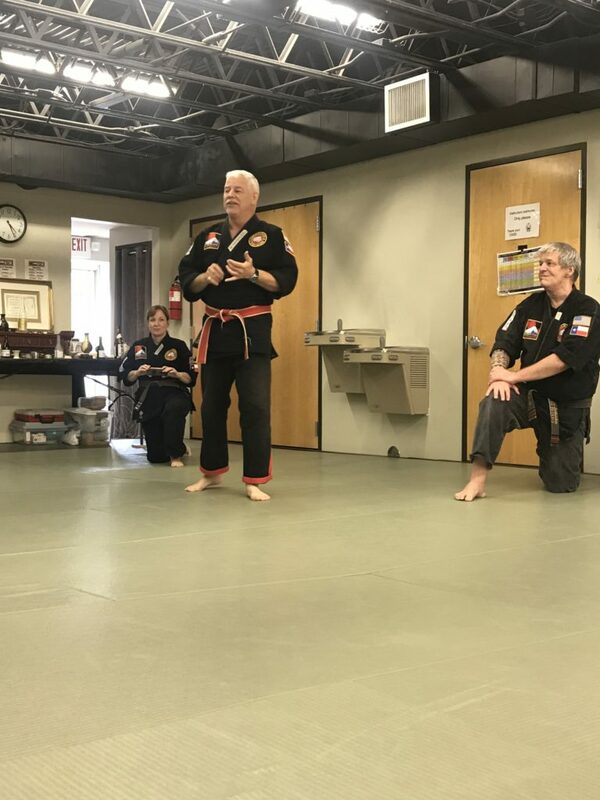 When we were sparring, it felt uncomfortable to reach out and hit the instructors, even though they had special padding and are well trained in these tactics. It made me realize how important it is for us to know these basics. If we are ever caught off guard by an attacker, we need to know what to do and not be paralyzed by surprise. 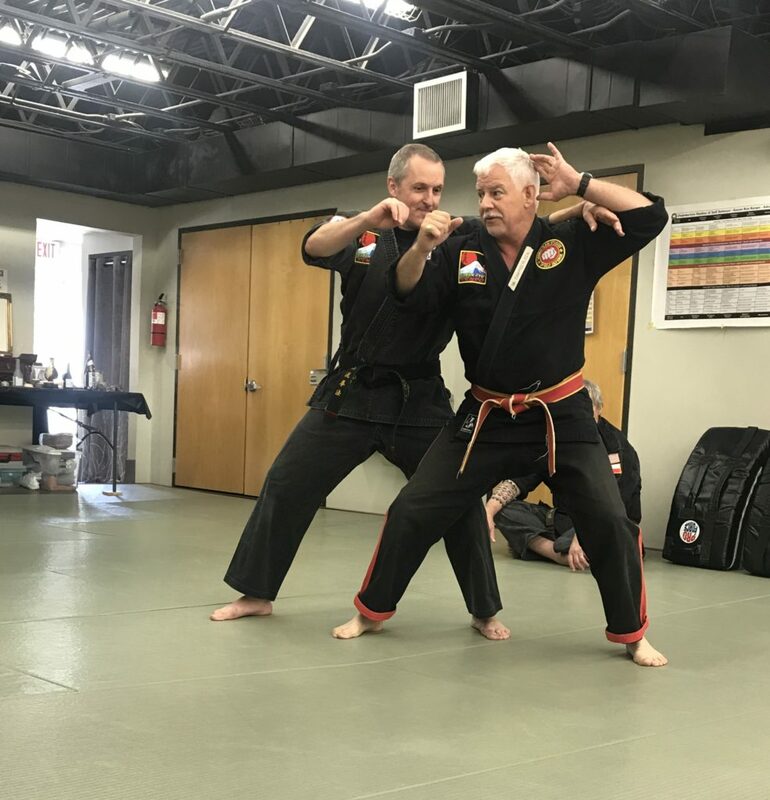 Or simply, not know the movements and techniques which can lead to a disastrous situation. I’ve learned over the years that repetition is one of the key elements of success. It’s no different here. 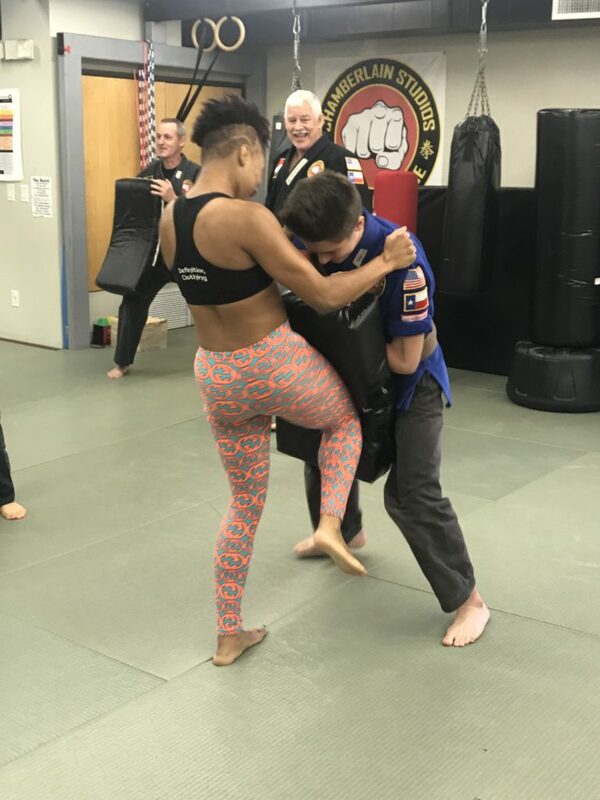 If you are under attack by someone, it’s essential to have some experience and training to make sure that you stay safe and can get away. The class ended with a Q&A with Dr. Chamberlain. He answered questions from the class and shared statistics and a few extra tips for his parting words. Everyone was so engaged and enjoyed this event. We all left educated, feeling empowered, knowing that we had learned something special and important. 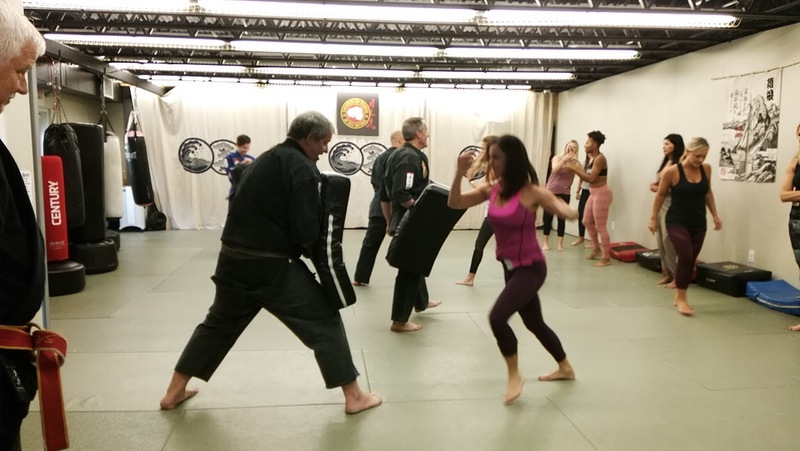 I left knowing I want to host Sushi, Sake, + Self Defense Part II very soon!